Enter deep relaxation as you are guided through Yoga Nidra “Conscious Sleep”. Simply lay comfortably on your back or seated, and you will be guided through varying breathing, body awareness and relaxation techniques to progressively enter a deeply relaxed awareness. In this meditative state, it is easy to disengage from negative mental talk and detach from unconscious habit patterns that may be limiting your life. While in this relaxed state you may choose to receive Reiki, an ancient energetic healing technique used to balance your energy, opening any emotional or spiritual energetic blocks. 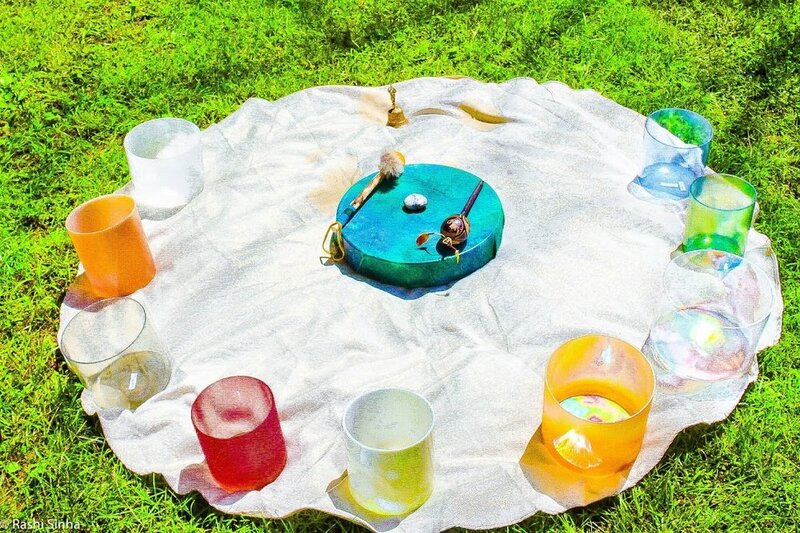 Seal the experience and wash away that which no longer serves you through the beautiful healing sounds of crystal singing bowls to restore your body, mind and spirit bringing a renewed sense of self. There will be time to share heartfelt insights and experiences to close the experience.